When you open the application, you will get a main menu with the options; Settings, Visit Application Page and Donate. 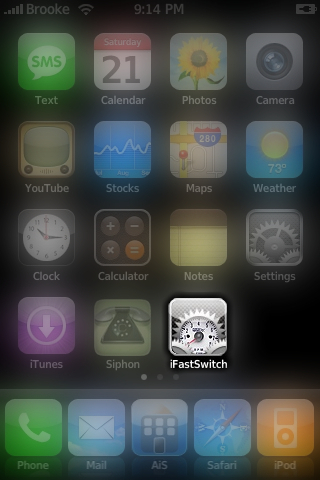 In the Setting you can enable iFastSwitch, Register and Restart your SpringBoard. What is cool about this application is that once it is enable, you activate it by swiping from the top right corner of your SpringBoard to the middle of the SpringBoard. The application will then pop-up on top of your SpringBoard. 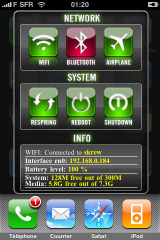 When you toggle WiFi, Bluetooth and Airplane Mode, you will know that are on when they are green. If they are toggled off, they will display red. 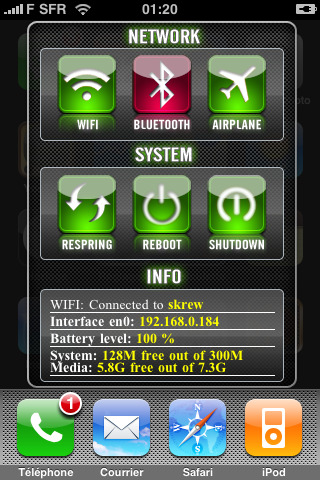 To use the Respring, Reboot and Shutdown features, just double-tap them. If you would like to exit the application, just double tap on an empty spot on the SpringBoard. iFastSwitch is available through the Skrew source. 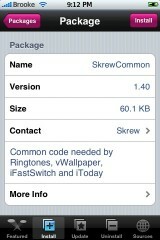 Note: SkrewCommon was updated to version 1.40 to support iFastSwitch. 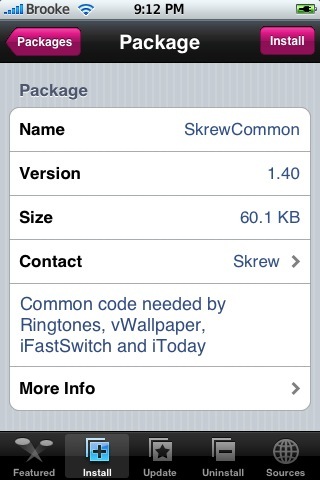 You will want to update SkrewCommon before installing iFastSwitch. Nice idea, but Man, those fonts and graphics are hurting my eyes! Could you tell me how to unlock the apps?? did you now how to install this app? wich source? Nice App. I love the icon ! And why is there a Register option? Do we have to pay?? did you now how to install this app? wich source?. hey Brooke, they have probably asked you this thousands of times, but how do you ‘blur out’ the other apps when you show a screenshot of your home screen? Ah, figured it out, just duplicate the image as another layer and put that layer in screen mode and blur it. Delete the part of that layer you want clear. como hago para acceder al programa?? What is the source for this App?